Lancaster Counselling & Psychotherapy can help you deal with a wide range of difficulties and symptoms. Greater personal insight, recovery and self belief are all goals which would form the foundation of our work together. My efforts are always to arrange the therapy around the needs of my client and if your aim is for a more fulfilling life with a better day to day sense of satisfaction, then I will endeavour to achieve these goals with you. Over many years I have helped people with a wide range of difficulties and symptoms. Greater personal insight, recovery and self belief are all goals which would form the foundation of our work together. My fees are £40 for a one hour session (concessions may be available at my discretion). I am an Accredited Integrative Psychotherapist of 20 years’ experience and can offer diverse mental health treatments and support on a non-judgemental and completely confidential basis. 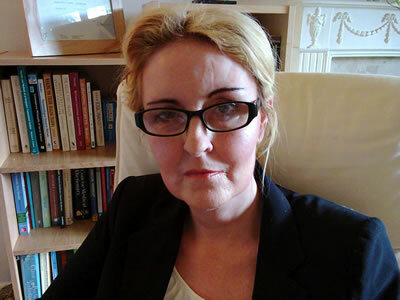 I am also an experienced group Psychoanalytic Therapist as well as having provided couples’ counselling. The time spans of my client/psychotherapy contracts have varied between six weeks and over four years. Each treatment plan is devised to meet the unique and individualistic needs of every client. My approach is based upon a relational foundation and yet, as an Integrative Psychotherapist, I am able to draw upon my knowledge of Psychodynamic, Humanistic, Gestalt and Transactional Analytic approaches to the therapy I am able to provide. These also include providing assistance for dysfunctional cognitive neurosis and pathologies. I have worked within the NHS as well as alongside other psychotherapists and counsellors. However, presently I work on a one to one basis and can provide flexibility as well as an understanding of the other priorities within a person’s life. Concurrently over the previous twenty years I have encountered the mild, moderate and more severe psychological and emotional burdens which many individuals have often carried throughout many years of their lives. Consequently, I believe that seeking the aid of a Mental Health Specialist has proven to be a beneficial way for the restoration of a meaningful and more contented way of life including the relationships with the self and others. I believe that problems can be solved, personal anguish should not be carried alone, and recovery and healing can be achieved. These are positive ways of thinking that can help us to carry on our lives in a healthier way. No thoughts, worries, anxieties or past and present experiences are ever too small or too large to be outside the possibility of being removed or lessened. Possessing good mental health is truly achievable and I speak here as a therapist and a first-hand witness to the changes and achievements that have occurred before my own eyes. There have been many occasions when I have seen a person who has evolved positively with the correct guidance and the knowledge that alternative help has been necessary. I look forward to meeting and helping you on your road to recovery.